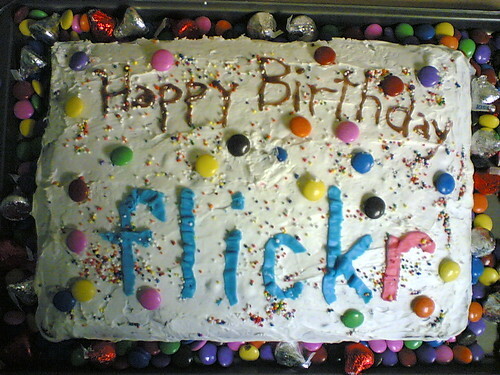 6 years ago today, Flickr launched at eTech in San Diego. Team Flickr would like to thank you all for your incredible generosity — in the billions of photos and video you share daily, to the tens of thousands of groups you’ve created and participate in. Without you, Flickr would be a very white site with little colour. You are the heart of the Flickrverse. Happy Birthday! As with previous years, we’ll be hosting a birthday party here in San Francisco within the coming months. Stay tuned for details as we get our ducks in a row. For more laughs check out the Funny signs group. Photos from fishbert, Skuchamenz, popomohaha, Dill Pixels, indiekidd73, maplecs100, BaubCat, and Dania Hurley.